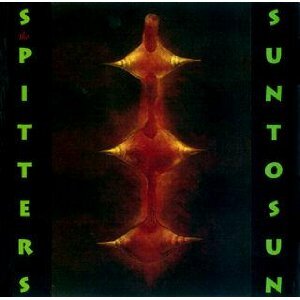 The stars must have been aligned when, entirely by chance, I happened upon The Spitters way back in 1994. I had caught a short blurb on them while flipping through some metal magazine or another in a grocery store. It was accompanied by a tiny picture of the band live; I was struck by the image of singer Mark Ashwill sprawled out in a particularly violent fashion – he looked like he was about to give, or quite possibly receive, some pain. Maybe the blurb mentioned their chaotic sound. Maybe their name and the image of some decidedly un-metal looking dudes (particularly in ’94) telegraphed it but, it claimed they were the best in NYC, I just knew I had to check these guys out. I found their debut, self-titled EP later that year at the local college station that my then girlfriend had a show on. We played it – my mind was blown – this was one of those times when what you imagine a band sounds like actually pales in comparison to what they actually sound like. 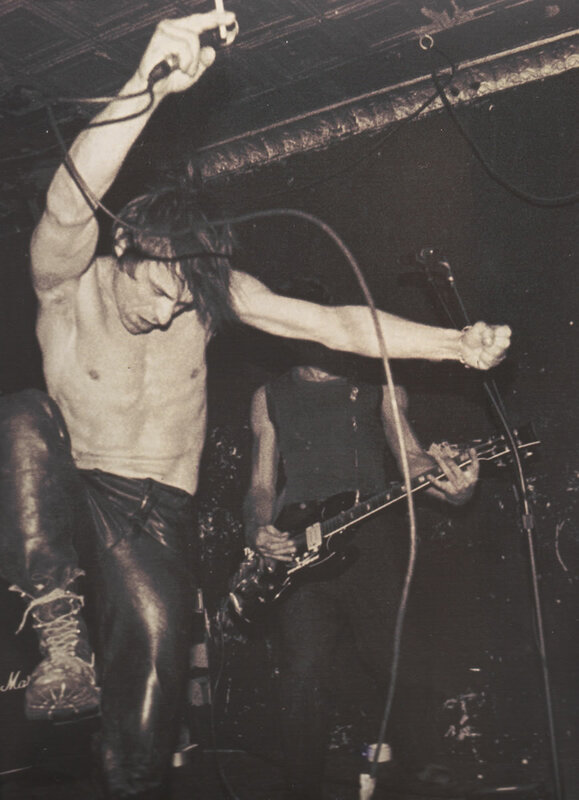 The band was noisy, sparse, sleazy, smart and, almost in spite of itself, you could dance to it. Their songs were hypnotic, crawling into your head to soundtrack your day and you loved it. I tried to order the EP (I had no knowledge of their then current full length’s existence) and I had the perfect position to do so, given free reign as the indie buyer at the coolest record store in town. It was like it didn’t exist; no one had it, no one had even heard of it. I ain’t proud of it, but I stole that damn CD from the radio station. Sure, I had copied it on cassette months earlier but that wouldn’t do; I’d kill that tape in under a year and then The Spitters would disappear forever – I couldn’t let that happen! I’m glad I did because everyone I’ve played for since has been similarly amazed. Additionally, if I’m to believe what I see around the internet, I’m the original source for most people’s knowledge of the group outside NYC (which is really sad, actually). Hopefully this article will help up their stock – if anyone deserves to be rediscovered (discovered?) it’s The Spitters. S.A Emmons has written extensively about the Spitters. Check out his full length reviews of Give and Sun to Sun.